How has OER impacted professional learning or student learning? As we began utilization of OER in 2012, we did so with a belief that the biggest impact would be financial and would simply allow us to divert financial resources away from the acquisition of published materials to the acquisition of bandwidth and digital devices. Certainly, we expected the student learning to be much the same since we were careful to align our content with our state standards. We grossly underestimated the positive impact on professional learning, as we have discovered that our creator-curators experience some of the best job-embedded professional learning that we can provide. How has your approach to OER evolved? We began our work with a clear vision and purpose, and we have certainly evolved due to both successes and failures! Early in our production, we believed that the technology was a limiting factor and that our creator-curators needed substantial training to be comfortable with the technology. Today, the technology to create and curate is no more complex than a social media post, so that training component has become less valuable for many of our creators/curators. We proposed a “rule” for our creator-curators that suggested spending three times as much time researching as writing. With the exponential growth of OER, that ratio has been dramatically modified and if any “rules” were to exist, it would be double digit hours of research to each hour of original creating. We underestimated the fear that many of our creator-curators felt related to appropriate attribution and copyright issues. As we found almost universal hesitation in that regard, we dramatically shifted our professional development component to include materials provided by OER Commons to better prepare our team. Finally, in our earliest iterations of our content we included many video resources that others produced. In our current work, we are much more focused on including the production of our teachers and our students to simply enhance connectiveness and relevance. What do you value most about OER? I value the ability to connect to the people, places, and things that our students and teachers know and understand without waiting on a publisher or state adoption cycle. We have the best (and worst) of the world at our fingertips with the devices we use and I greatly appreciate the fact that OER allows us to capture and deliver this information to our students, almost in real time. I value relevance, timeliness, alignment with our standards, and economic value. What do you wish people understood about OER? I wish people understood that OER won’t make a passive instructor engaging and won’t provide a panacea to a troubled budget. OER is simply another tool in our toolbox that connects our content more locally and allows us to adjust and adapt based on our needs and expectations. OER is not digitally dependant, does not require a 180 degree turn from the programs we find effective and useful, and requires little change since many of our best and brightest teachers already supplement with relevant instructional content customized to meet their needs. Utilization of OER is not an “all or nothing” proposition and a transition to OER does NOT require that everyone becomes a proficient creator-curator. Perhaps the single most important understanding I would like others to have is this: Great OER is often buried in average OER. Dig. Dr. Dan Lawson has a career in public education of more than three decades in which he has served as a classroom teacher, a high school principal, and a superintendent of schools. His major personal positive contribution is thirty-eight years of marriage to Karen Lawson and helping to produce three children that he hopes can someday provide for themselves. 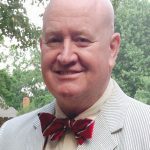 As superintendent of Tullahoma City Schools for the past twenty-one years, Lawson has served as the president of the Tennessee Association of Independent and Municipal Schools, as well as the Tennessee Organization of School Superintendents. Lawson has been named the Tennessee Superintendent of the Year by Tennessee Organization of School Superintendents, as well as the Professional Educators of Tennessee and the Tennessee Fine Arts Teachers. Tullahoma City Schools is one of the #GoOpen Ambassador School Districts.